Sony Ericsson WT13i (Mix WalkMAN) Price in India Rs. 6,500. 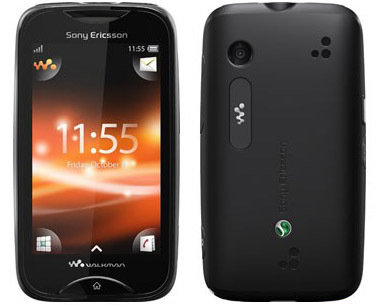 Sony Ericsson WT13i Mix WalkMAN Price in Mumbai Rs. 6,500. Sony Ericsson recently launched its Walkman series music phone for music lovers. Features of this phone, 3inch Touchscreen, Weight-88g, Dimensions of this phone 95.8 x 52.8 x 14.3 mm, 3.15MP Camera it take picture to 2048 x 1536 pixels, Stereo FM Radio with RDS, Walkman player, This phone has 'Send to Web' option it is used to upload your captured images and video to your own websites or blogs. Other features Accelerometer, Proximity Sensor etc, It has some in-built apps such as Facebook, Twitter, G talk, Document Viewer etc, This phone comes with 1 year warranty.